The film is recognized as the "Best Film on the Coverage of Human Rights and Freedoms"
The film about the national leader of the Crimean Tatar people Mustafa Dzhemilev was awarded at the "Bir Duino - Kyrgyzstan 2017", international film festival. The corresponding information appeared on Amnesty International Ukraine page on Facebook. “There is wonderful insider news! Just a moment ago "Mustafa" documentary film received the "Best film on the coverage of human rights and freedoms" award at the International Film Festival "Bir Duino - Kyrgyzstan 2017,” reads the message. 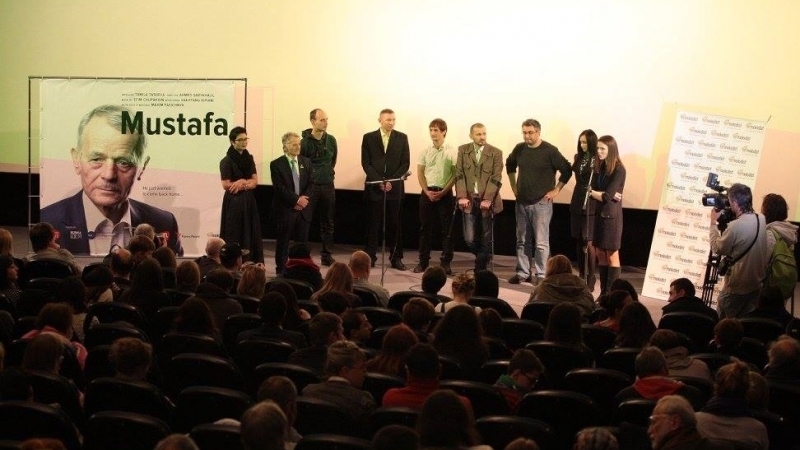 It should be reminded that, the film "Mustafa" is a film narrative on key events in the life of Dzhemilev: deportation, first imprisonment, hunger strike. He spent more than 15 years in Soviet camps and prisons, withstood the longest hunger strike in the history - 306 days, all in the struggle for returning his People from the places of deportation to the Crimea, his native land.